Do you want to draw more attention to your business? 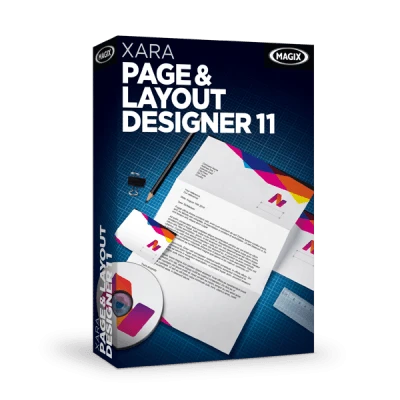 Now you can download and test Xara Page & Layout Designer for free to design your own advertising material quickly and easily. It's the perfect desktop publishing software for creating business cards, letterheads, flyers, posters, company logos and much more. Get started now – Download and test Xara Page & Layout Designer for free! Test Xara Page & Layout Designer now for free and find out just how easy it is to create your own professional print products. It's only a download away. Create your own business cards, letterheads, invitations, food and drink menus, logos etc. All relevant formats are supported. This eliminates the need for complicated formatting of print documents. The program offers a vast selection of design template sets, e.g. business cards, flyers and newsletters. Simply choose a template, adjust it with your own content and you're done!